Memoji are awesome. Here's how to make your own. 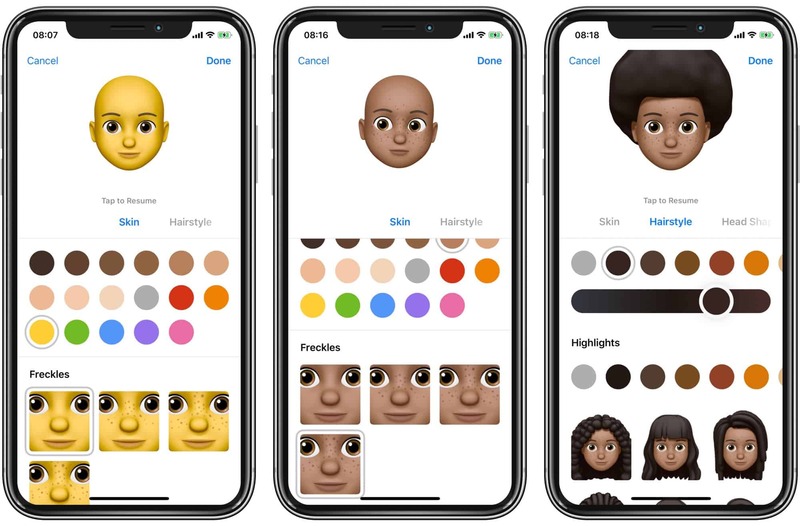 iOS 12 lets you create Memoji, your own custom Animoji. What’s an Animoji? It’s a little animated character that — thanks to some facial recognition tricks from the latest iPhones’ TrueDepth cameras — copies your expressions live. This turns the cute Animoji critters into little virtual face puppets. Step 1 is to grab your iPhone X, XS, XS Max or XR. (Memoji don’t work with older iPhones.) Then open the Messages app and tap on a message thread. Because Memoji live inside the Messages app, everything you do with them takes place in message threads. I set up a message thread with myself, for safe testing. Next, tap the Animoji icon at the bottom of the screen. This brings up the Animoji panel. 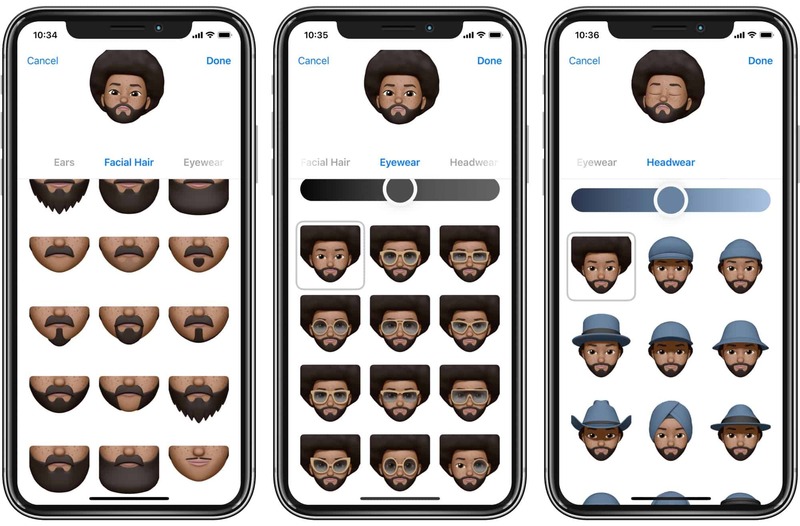 Here you find the regular Animoji, as well as any Memoji you have already created — you can make as many as you like. Go ahead and hit the + button to make a new one. You’ll see this screen. The Memoji editor is both comprehensive and fun. The Memoji editor is both simple and deep. You work your way through the various screens, picking out your skin color, hairstyle, eye shape and color, face shape, eyelash detail, and even beard highlight color. The first screen, as you can see, is skin color and freckles. I already made one of myself, which won’t interest any of you anyway. 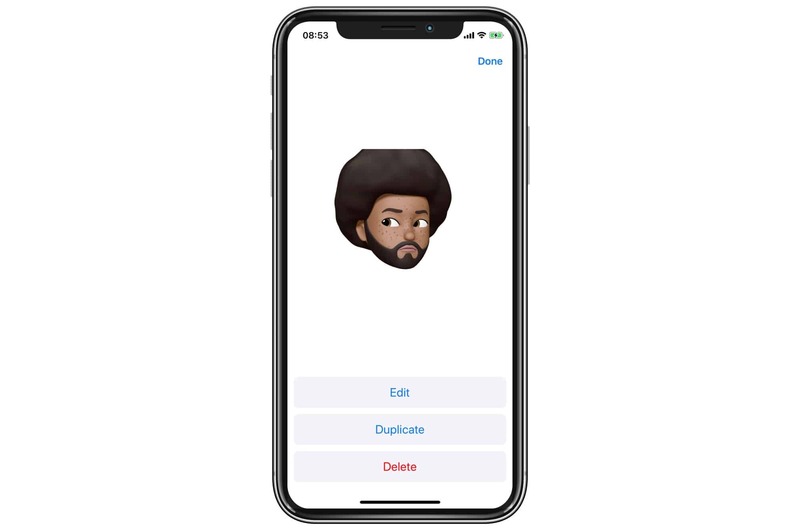 So for today’s Memoji demo, let’s re-create Nike’s handsome hero of the hour, Colin Kaepernick. Hair, beards, headwear and glasses. There are even earrings in there. You’ll need a reference to work from. 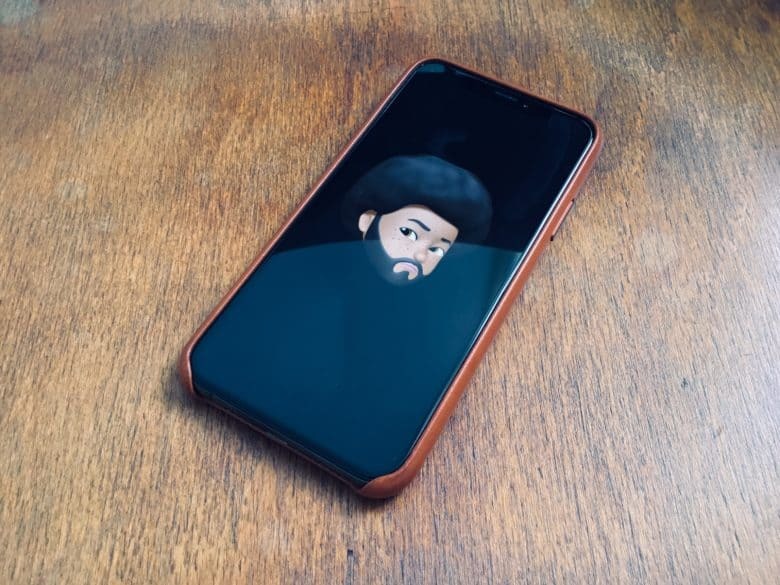 For Memoji selfies, use a mirror. For anything else, grab a photo. Then, just work your way through the various screens. One neat thing to note is that you’re not limited to earthly options. Skin can run from almost black to pale beige, but it can also be blue, green or anything else. Let’s get started. Working from photos, skin is pretty easy. And for Kaepernick, so is hairstyle. I just picked the biggest natural on the page. You can fine-tune hair color, as well as adding highlights. Head shape is next. Then comes eyes. Make sure you scroll down, as there are sometimes more options below. On the Eyes page, for example, the eyelashes sit at the bottom. Plenty of eye options mean you can get pretty close to reality. I find eye shape and head shape to be the trickiest. Thankfully, the options are laid out methodically. Eyes, for example, are ordered wide, medium and narrow in the three columns. Top-to-bottom, they run from turned-up at the outside, to turned-up at the inside. Take a moment to see how the options are arranged, and you’ll need less trial-and-error to get the result you want. Kaepernick’s eyes are pretty even in both directions. OK, here’s my final result. Frankly, it’s not very good. The Memoji editor doesn’t really have a long enough face option for Kaepernick. Noses are also a problem — for everyone. 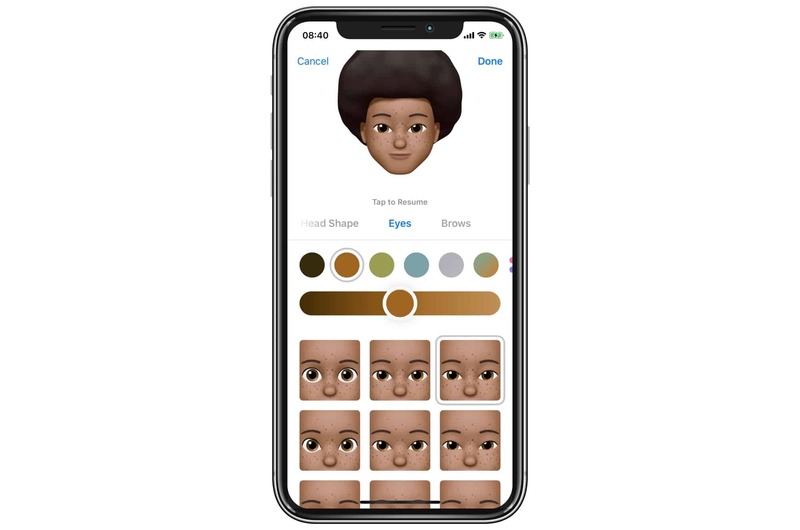 Our noses really define our faces, and yet the Memoji editor has only three options, and all of them are cute little buttons. This doesn’t look much like Colin Kaepernick. I’ve just spent the best part of half an hour staring at photos of Kaepernick, and I reckon that his defining features — apart from the awesome hair — are his smoldering eyes, his strong, angular nose, and his long, pointed face. The Memoji editor manages the eyes, but that’s about it. Perhaps I’m just not very good at Memoji. If you can manage a better version, share it with us via Twitter. My own Memoji is more successful, but I wonder if that’s because I wear thick-framed glasses. When I created it, it was also fairly generic until I added the specs. Still, making these Memojis was a lot of fun. And once you’ve created your Memojis, you can use them just like any other Animoji. You can create animated messages and even use them as masks in FaceTime calls. Edit or duplicate your Memoji. Editing Memojis is easy. 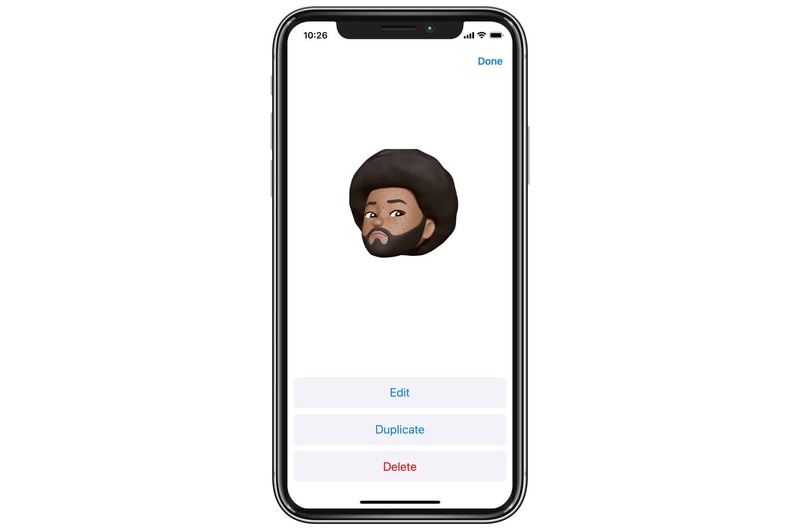 Access your Memoji in the Messages app, just like before, and find the one you want to edit. Then, just tap the three dots in the bottom left corner. Tap Edit, and the Memoji will open up in the same editor as before. You can also make duplicates, which makes it easy to create alternative appearances for yourself. Memoji are undeniably fun. I can see how they could be used to make animations, especially now that you can create your own. If you have an X-series iPhone running iOS 12, then you can try it right now. Note: We originally published this post on Sept. 26, 2018. We updated it to include iPhone XR.